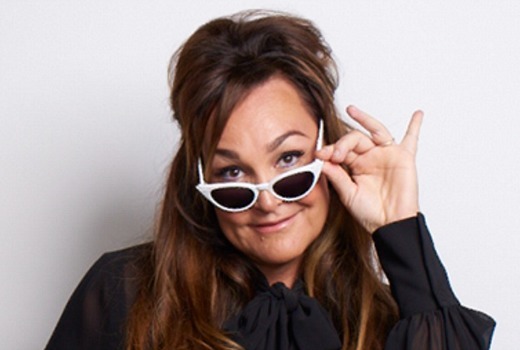 KIIS-FM host Kate Langbroek and comedian Cam Knight have been announced as presenters for Unreal Estate, which is now in production for Nine. “We’ve all heard that a man’s house is his castle, but what if a castle is actually his house? I can’t wait to visit some of Australia’s most extraordinary houses, partly to admire them, but also to find out how rich you have to be before you stop having trouble with your downlight,” Langbroek said. “I feel like a little kid let loose in a candy store. It’s so much fun not only to be allowed into these homes, but also meeting these incredibly interesting people that had a dream and followed it through” Knight added. OK , so it’s a show about interesting and strange homes, nuthin’ new there…so everything depends on the hosts here…and sorry but I am not a fan of Kate either … this will be a bit of a risk ….I can already spot a ‘ Forced Humour Alert ‘ flashing ahead. I would rather listen to two cats create a third one than listen to or watch Kate langbroek on anything. I have no idea how she still gets work outside of the tuck shop. Hmm Kate on the show might be a deal breaker for me. I will still check it out. Guess Extreme Homes on 9Life must be doing reasonable numbers so Nine have decided to do there own version now.